The J. Reuben Clark Law School  is located on the campus of Brigham Young University. It is owned and operated by The Church of Jesus Christ of Latter-day Saints, the Mormon Church. The school is named after J. Reuben Clark, once an apostle of the Church as well as a prominent American attorney at law and dedicated civil servant. He was a prominent attorney in the Department of State, and Under Secretary of State for U.S. president Calvin Coolidge. He also served as U.S. Ambassador to Mexico. The Law School was founded in 1973. The "students learn in an intellectually and spiritually invigorating community where students look forward to using their legal skills in service throughout the world. The development of moral character and enlightened devotion to the rule of law are hallmarks of a BYU Law School education." The Law School is accredited by the American Bar Association, Association of American Law Schools. The Law Library contains 457,000+ volumes and volume equivalents, wireless Internet, individual study desks. The Law School has a diverse Student Body: 79% of the student body has second lan-guage ability; 30 states and 6 foreign countries represented; 53 undergraduate institutions represented. 35% of the student body is female. Supreme Court Clerkships: Thirteen United States Supreme Court Clerkships; five faculty members are past clerks. Employment Statistics: 93.3% employment rate at graduation for class of 2009; $106,895 average starting salary ($120,874 in private practice); 49% of graduates took jobs outside of Utah. Externships: Students are placed in externships in almost every type of legal office and in a wide range of practice areas. Externs are routinely placed in: law firms, corpora-tions, judge’s chambers, public interest agencies, and government offices. •Teach the fundamental principles of law, using a predominantly theoretical approach, with appropriate attention to the basic skills involved in lawyering. •Promote loyalty to and understanding of the Constitution of the United States. •Foster an enlightened devotion to the rule of law. •Teach the law from a scholarly and objective point of view, with the largest latitude in the matters being considered. •Incorporate religious, ethical, and moral values in the instruction. •Produce influential and enduring legal scholarship. 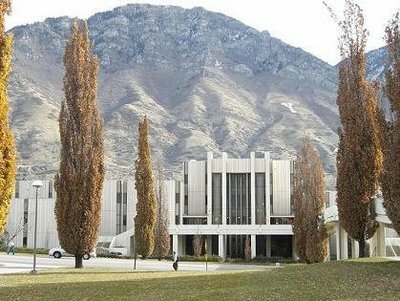 •Be part of Brigham Young University in all respects, fully participating and contributing in the intellectual and spiritual life of the University. The School also sponsors the J. Reuben Clark Law Society. Read about J. Reuben Clark. Click here to watch a video about the Law School. Click here to view the types of awards distributed by the Law School. This page was last edited on 16 November 2011, at 21:12.